The division of Post Harvest Technology has generated several technologies including post harvest management practices for extension of shelf life, long distance marketing, on-farm storage, alleviation of chilling injury; value added products from horticultural crops viz. RTS heath drinks, jamun juice concentrate, dehydrated carrot shreds, ripe mango slices, ginger-onion-garlic powder, dehydrated onion slices and powder, frozen red capsicum, ginger slices; and processed products from grains like quick cooking dhal, roasted soy nut, extruded bajra puffs, sorghum flakes etc. 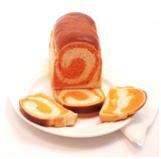 It is ready-to-eat crunchy food product. It contains about 13% protein, 5 mg/100g iron and 3 mg/100g zinc. Consumption of 100g of this product can meet approximately 25% of the RDA of Fe and Zn in women. 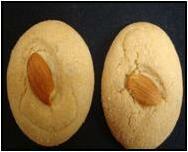 The product could to be a boon to the huge human population suffering from celiac diseases due to gluten allergy. 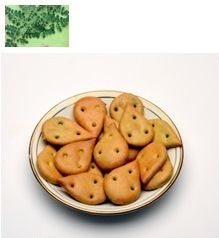 A value added product in infant foods and other culinary preparations. No synthetic colour or flavour. Absolutely safe even for small children. Contains natural antioxidants, vitamins and minerals. 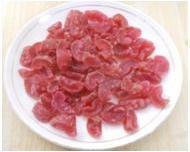 Novel red amla candy combines the biologically active components from amla and black carrots. Amla fruits are known for pharmaceutical applications in ayurvedic system and are high in ascorbic acid, ellagitannins and other phenolics. Black carrots are an exceptionally good source of acylatedanthocyanins and possess high antioxidant activity. Red amla pieces in syrup enriched with natural colorant has high stability for anthocyanins for 9 months at low temperature. Dried candy processed through DIS process, dried and vacuum packed have good shelf for 6 months. Incorporation of natural red anthocyanin provides a high sensory appeal to the amla products. The technology involves addition of soybean flour at a standardized ratio to wheat flour followed by an optimized baking process. Good source of protein, iron, calcium and energy and is highly suitable for malnourished children. Simple, cost effective technology and can be easily adopted by small scale entrepreneurs for commercial processing. A unique blend of cereals, pulses, milk and fruits. These low calorie crackers are good source of protein and are made of non-hydrogenated fat. Excellent source of antioxidants and flavonoids. These sweet salty crackers are acceptable to all segments of population. 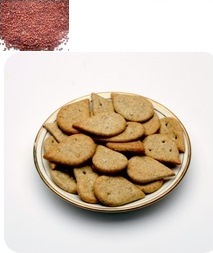 The process for making these crackers is simple. Hand made crackers making process can be easily adopted even by small scale entrepreneurs for commercial processing. A unique blend of cereals, pulses, milk and vegetables. Good source of dietary fibre, antioxidants and flavonoids. These attractive sweet salty crackers are highly acceptable to all segments of population. 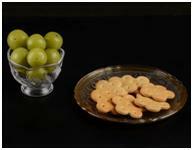 These low calorie crackers are good source of protein and calcium and are made of non-hydrogenated fat. A unique blend of cereals, millets and milk. These attractive sweet crackers are highly acceptable to all segments of population. Incorporation of rice bran, wheat bran, soy okara and pulse seed coat. 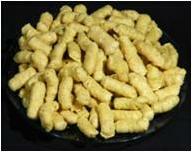 It is ready-to-eat crunchy product and can be used as snacks. 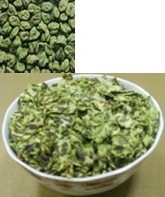 Natural green colour of the variety has been retained in the flakes. The product has low glycemic index, hence suited for even diabetic people. Rich in quality protein and fat. Unique source of flavanoids which have been reported to reduce cholesterol, inhibit bone deterioration, relieve menopause symptoms and possess anti-cancer activity. TIA has been reduced by 90%. 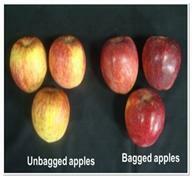 Putrescine 2 mM + carnauba wax (1:10 emulsion) treated pomegranate fruits may be stored (at 3 to 50C and 90 ± 5% RH) in consumer acceptable state for fresh consumption > 60 days.